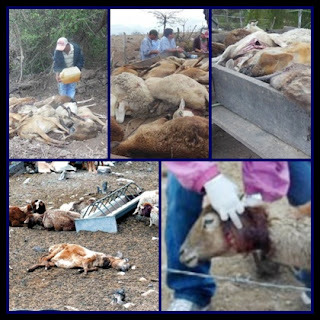 Reports on dead animals showing incisions on their necks are emerging from Comayagua in central Honduras. SENASA authorities look into animal killings on a property belonging to congressman Valentin Suárez. The cost of each animal is between 1000 and 1,500 Lempiras, according to the interviewee. Suarez said that the farm’s staff will keep a nocturnal watch in the hopes of finding any clue that may clarify the situation. According to Tulio Escoto, manager of the hacienda, the dead sheep’s ages ranged from two months to five years old. Their pens were in various locations. 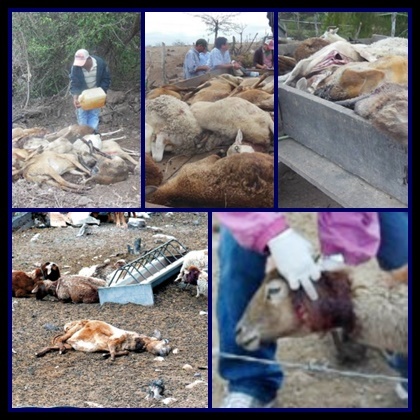 After identifying the number of dead animals, the authorities of the Servicio Nacional de Sanidad Agropecuaria (SENASA – National Livestock Heath Service) were notified in order to set an investigation in motion. Experts took note of the type of injuries displayed by the animals and the area, as well as the seriousness of the injuries. They also requested two dead sheep to perform autopsies on them in order to determine the cause and type of attack suffered by the mammals through a blood and tissue analysis performed by laboratories in Tegucigalpa. [Translation © 2013, S. Corrales, IHU. Special thanks to Andrea Pérez Simondini (Visión Ovni) and Guillermo D. Gimenez (Planeta UFO)].